America's northern border is the world's longest international boundary, yet it remains obscure even to Americans. 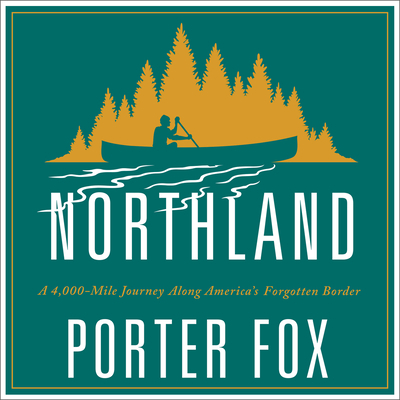 Travel writer Porter Fox spent two years exploring its length by canoe, freighter, and car-and in Northland, he delivers the little-known history of the region and a riveting account of his travels. Fox follows explorer Samuel de Champlain's adventures; recounts the rise and fall of the iron, wheat, and timber industries; crosses the Great Lakes on a freighter; and tracks America's fur traders through the Boundary Waters. Northland is full of colorful characters (railroad tycoon James J. Hill, Chief Red Cloud of the Lakota Sioux, Captain Meriwether Lewis) and extraordinary landscapes (Glacier National Park, the Standing Rock Sioux Reservation, Montana's Medicine Line country). Throughout, Fox weaves in his encounters with residents, border guards, Indian activists, and militia leaders to give a dynamic portrait of the northland wracked by climate change, water wars, and heightened border security.